With built-in critical dimensioning functionality, the TruechromellS is not only a superb imaging camera, but also a powerful metrology tool. This greatly extends the application areas of the Truechrome camera. The metrology functions include calibration, scalebar and line measurement. Guaranteed 30 fps at 1080p, TrueChrome IIS presents a perfect combination of outstanding resolution and frame rate, which allows the user to smoothly manipulate live images without any monitor lag. Taking advantage of the ultra-high signal to noise ratio sensor, TrueChrome IIS allows you to set up to 10 seconds exposure time. The incredibly efficient 3D noise reduction performance delivers finest detailed images for low light fluorescence. The significant innovation of TrueChrome IIS is embedding the application software inside the camera. The user can control the camera with just a mouse. There is no need for a PC. TrueChrome IIS automatically analyzes the acquired images andoptimizes the white balance, exposure time and saturation, to present perfect images. 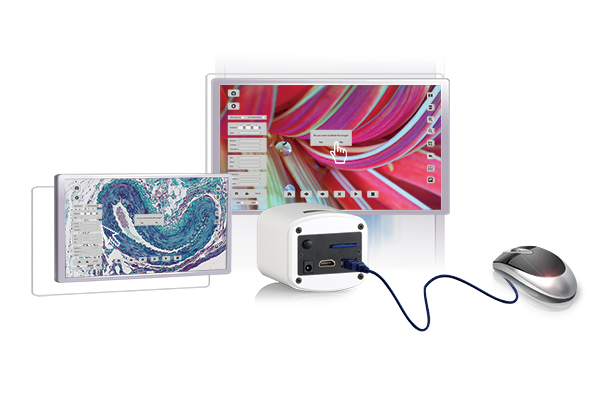 Whatever for bright field bio imaging or dark field birefringent crystal imaging, TrueChrome IISdelivers ideal images, barely needing any parameter adjustment. TrueChrome IIS embedded software is designed for ease of use. There are only two icons on the software starting screen, one for image capture and the other for the settings menu. It’s as intuitive as asmartphone. 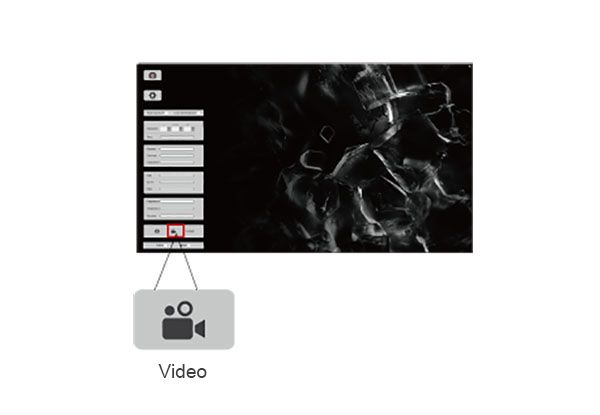 For the first time, an HDMI camera is equipped with complete exposure and gain settings. It allows to exposure settings from 1ms to up to 10 seconds and 20 levels of gain adjustment. 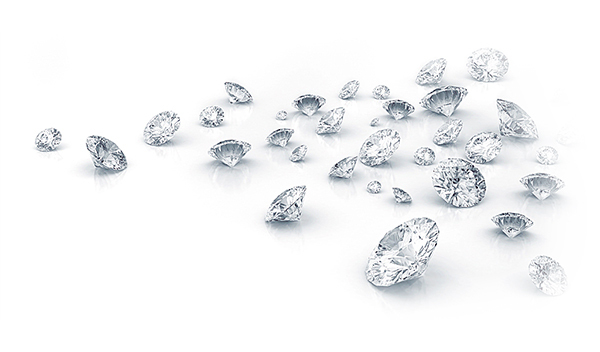 Compared with 1st generation TrueChrome where only auto exposure was available, the ease of use has been significantly improved and moreover, the sensitivity is 300 times higher. An increase of the exposure time increases the image noise. 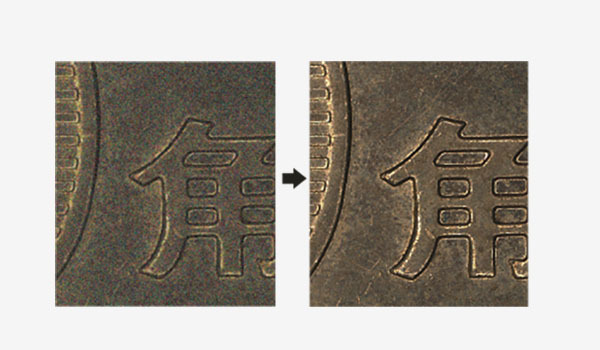 But the integrated 3D noise reduction function keeps the TrueChrome IIS image always clean and sharp. The following comparison images show the amazing 3D noise reduction effect. Just click on the button to start recording 1080P videos at 30fps. The recorded video files will be saved to the high speed SD card directly. It is also allows playback the videos in the SD card directly. 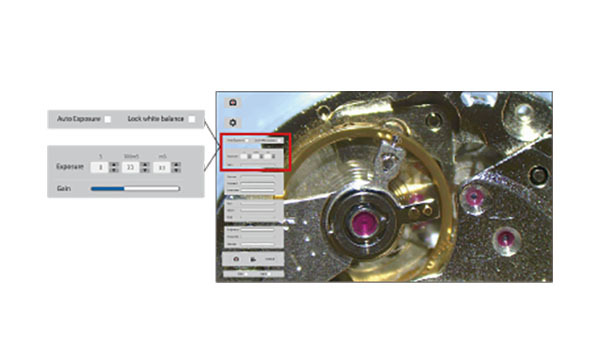 A series of image operation buttons on the right side of the screen allows the image to be flipped, rotatedor a Region of Interest (ROI) to be selected. 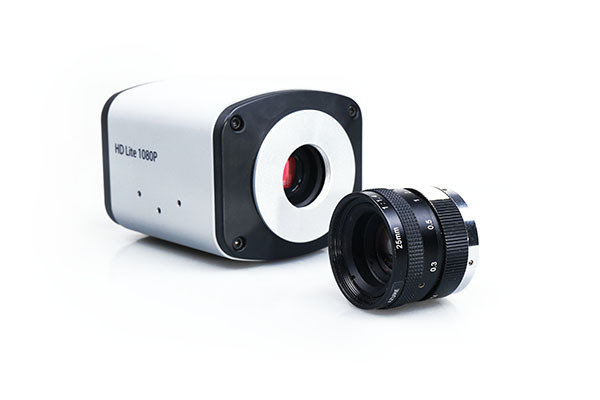 The ROI function can help to get more image details throughmagnification. The image comparison function is available in the setting menu. An image can be chosen to compare with the live image and even movedaround or have a ROI selected. 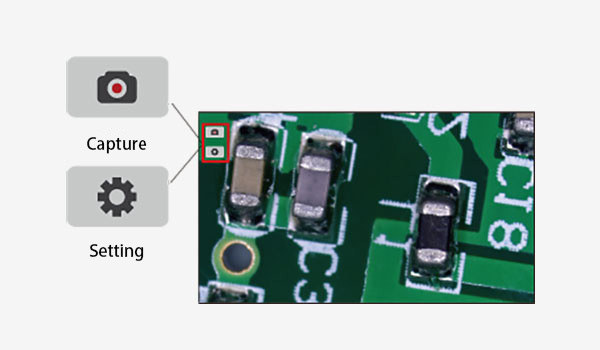 TrueChrome IIS adopts innovative FPGA dual-core processor, FPGA1 high-definition image quality processor and FPGA2 image output controller, to ensure high speed high quality images.